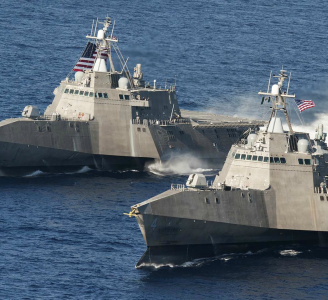 Lockheed Martin has received a contract modification of an undisclosed amount to build one littoral combat ship for the U.S. Navy in fiscal year 2019. The company will manage LCS design, planning and testing operations as part of the fixed-price-incentive modification that exercises an option of a previously awarded contract, the Department of Defense said Tuesday. DoD added it will not publicly disclose the amount of the exercised option because the department considers the amount as "source-selection sensitive information." Work will take place in Washington, D.C., Wisconsin, Maryland, Michigan, Virginia, California and other undisclosed locations. The project is slated for completion in February 2026.